It is the bane of every teacher and public speaker’s existance– dry erase marker stains that won’t come off your dry erase board. EXPO & Quartet make great dry erase board cleaners that get rid of stubborn stains, but if you don’t have any on hand, there are a surprising number of products found in nearly every home and maintenance supply closet that should do the trick. Actually, toothpaste removes stubborn stains from most smooth, non-porous surfaces. Should probably list this first, since vinegar and water are my go to solution for most cleaning projects. 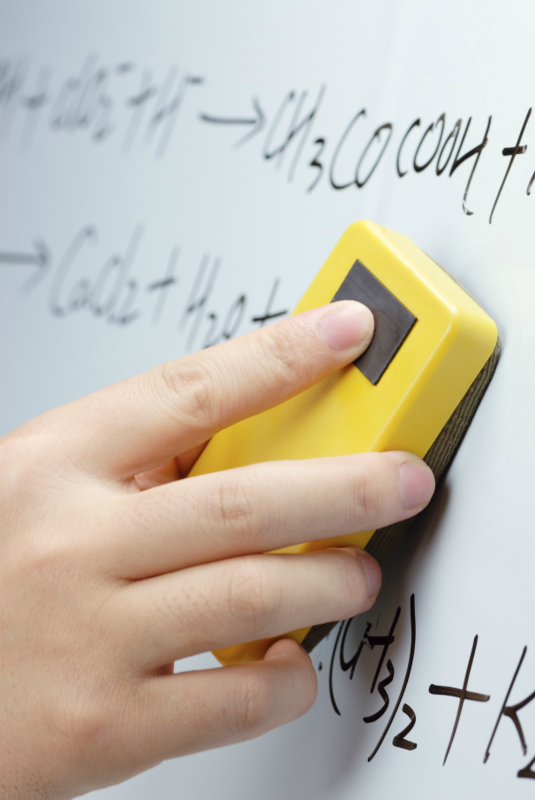 Do you have any tips and tricks for keeping your dry erase board looking new? We’d love to here them. Share your advice in the comments. Angelina, mixing bleach with toilet bowl cleaner (acid) is very dangerous. I think she means that it’s the toilet bowl cleaner that has bleach in it. L. A.’s Totally Awesome, undiluted, available at Dollar Tree takes most of it off. Follow this with a coat of car wax. I use liquid or paste Turtle wax. It is amazing. Plus the wax seems to seal out future stains! I also use a car buffer after the second coat of wax. Only because I clean a lot of square footageof white board as a school custodian. Smaller white boards I polish by hand. LA Totally Awesome is my #1 for 98% of everything I clean in my house. Even parts of my car! Works perfect on my new board and is onoy cleaner I have used, seems to be lasting longer than past boards of smae type. Also quility pens are a must for the best use and performance of any quality dry board. Going through the cleaning closet for various products mentioned here and elsewhere, I found a green spray bottle that says “LA’s Totally Awesome All Purpose Cleaner,” but then says “Rust, Lime, Calcium” in a larger font. Is this the stuff you mean? 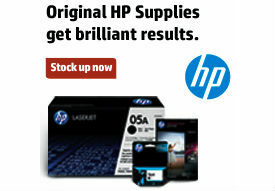 If it is, would you recommend it over CLR, which I also found? Hand sanitizer worked like a charm. Thanks! I tried 90% Isopropyl Alcohol, hand sanitizer, nail acetone, WD-40, vinegar, hairspray on a 2 year old marks in my whiteboard and it did NOT worked. Tooth paste on the other hand worked perfectly. Thank You! Is there a certain type of toothpaste you would recommend? The bubblegum flavored ADA-approved toothpaste works best, but remember not to use more than a glob the size of a grain of rice if the marker is fewer than 3 years old and no bigger than a pea if it’s more than 3 years old. I tried baby oil as recommended elsewhere online and it only cleaned the easy bits, not the tough-to-erase stuff. Toothpaste worked immediately! Just used 91% Isopropyl Alcohol and it worked like a charm! The stains were years old but it worked! Thank you for the advice! After you cleaned it, apply caranuba wax (the one you use on your car) over the board and let it dry completely, then wipe it off (that&apos;ll be some work). That&apos;ll keep the board to gunk up so fast. For the whiteboard to work it needs a hydrophobic coat, the wax takes care of that. Baby Wipes work great also. Vinegar didn&apos;t work at all for me. I think older boarrds that lose their smooth surface become harder and harder to clean, especially if the marks dry for several days or weeks. Used toothpaste after I noticed my niece&apos;s art pieces on my fridge. Spread the paste on and rub it in with your fingers then wait a minute or two. Scrub away with a damp towel. Then wipe a few times afterwards with a damp rag/towel. Hand sanitizer worked beautifully on our floor to ceiling, 20ft white board that had not been cleaned in years. (Hospital psychiatric unit). Thanks, it looks brand new. The patients are going to be thrilled! I used Mr Cleans dry eraser and it worked wonderfully. Ya next time you tell ppl the magic eraser worked wonderfully, you might want to also mention that it strips the coating off and marker doesn’t erase off anymore! Thanks a bunch! Vinegar?! All it did was make my room smell like vinegar. It didn’t make one iota f a difference. How about deleting this one from your list. It doesn’t work. go over old dried d.e. ink with a fresh marker and it will wipe right off! Works of permanent marker ink as well. white vinegar barely helped with writing that had been on for months. Tried everything on a whiteboard that had had ‘permanent marker’ on it for 10 years. Toothpaste did the trick! So I had this purple dry erase marker and now it won’t come off my board. I tried EVERYTHING and only the toothpaste worked, but it took a really long time, a ton of toothpaste, and a lot of scrubbing. Is there an easier, more efficient way? Comet worked for us! Super easy no scrubbing only apply a light dusting and wipe with damp paper towel.